Master Pools Guild is an elite, exclusive, members only network comprising of over 100 elite custom pool builders across the globe who have been handpicked by the Guild based on their Innovative Design, Technology, Construction Quality and Attention to detail as well as their ability to foster long term relationships with their Customers. Millennium Pools is proud to be the only pool builder in the entire South East Asia region to be awarded a prestigious membership to the Master Pools Guild and has been given the title of “Expert Pool Builder”. We really are one of the Best in the World. 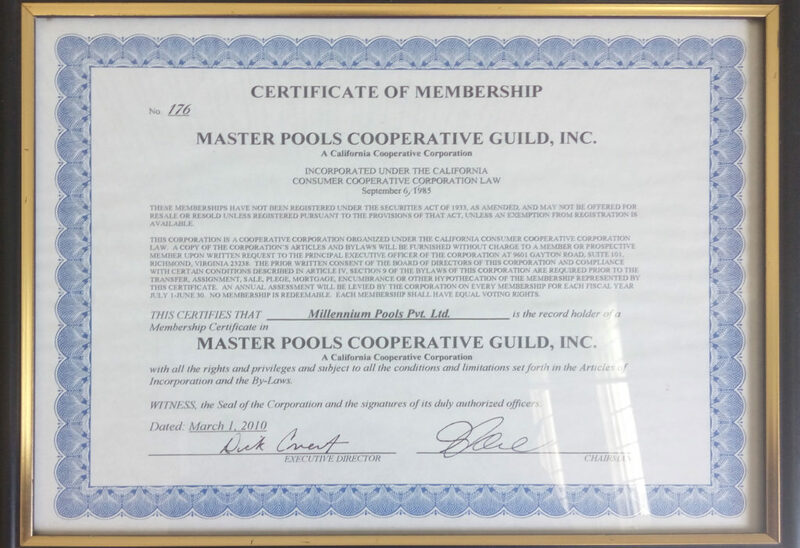 Member - Master Pools Cooperative Guild, Inc.